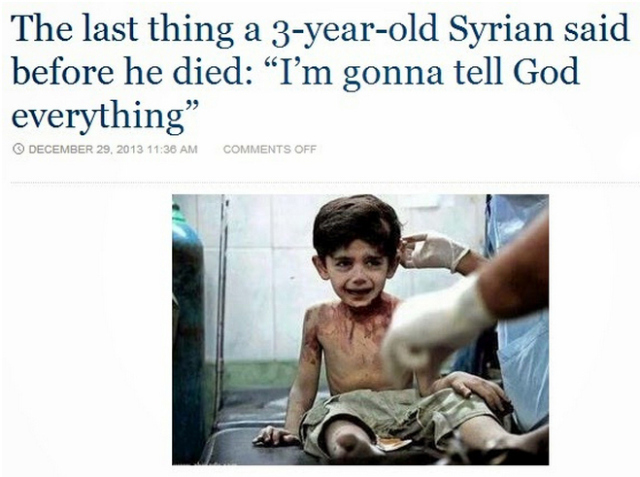 It is not a question of a Syrian, or Palestinian, Israeli, or the Child of ANY particular country. Children, Women, Innocents, People Entirely Unconnected with whatever grievance might have happened, are Dying, Thus Cruelly, All over the World. The Israelites had been settled on the Banks of the rivers of Babylon. Their Land had been devastated, their fields had been plundered long ago, and even their Single Temple had been Destroyed. Israel is one of the Very Small Nations, and one of the Much Persecuted ones. Its people are a very Homogenous group. Thus, when they had been told by their captors to sing one their songs, they had said: “Just How can We sing when our Land is in Ruins, and our People are living as Slaves?” That is the sense of Psalm 137:4. And the famous song, ‘By the Rivers of Babylon,’ is based on this.